Watch Mercy for Animals Undercover video here. New undercover footage obtained by Mercy For Animals provides a shocking look behind the scenes at a Lilydale slaughterhouse in Canada. 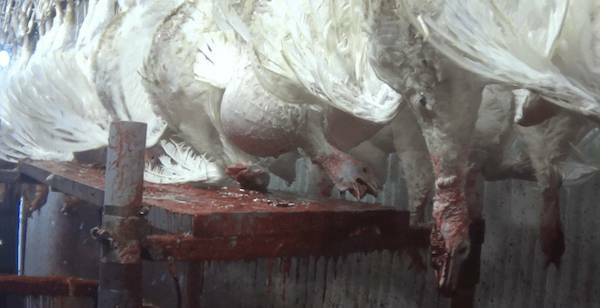 The disturbing hidden-camera footage shows turkeys painfully shackled upside down, shocked with electricity, cut open, and even scalded in vats of hot water - all while still alive and able to feel pain. 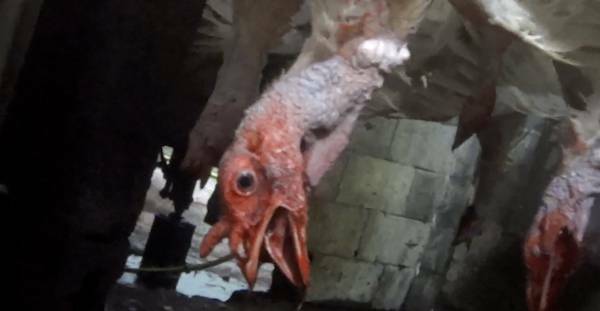 Workers rip turkeys out of transport crates and violently shackle them upside down on the slaughter line. 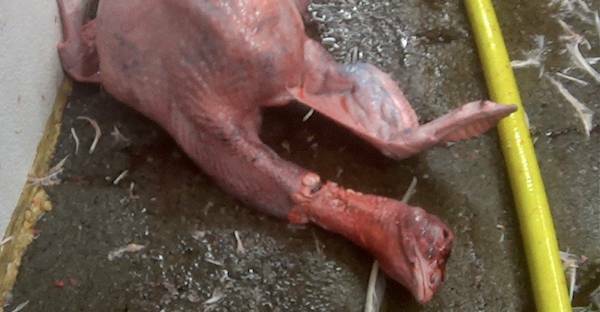 Severely sick and injured turkeys are slaughtered along with other birds intended for human consumption. Frightened birds are dragged through electrified water, painfully shocked but still conscious and able to feel pain. 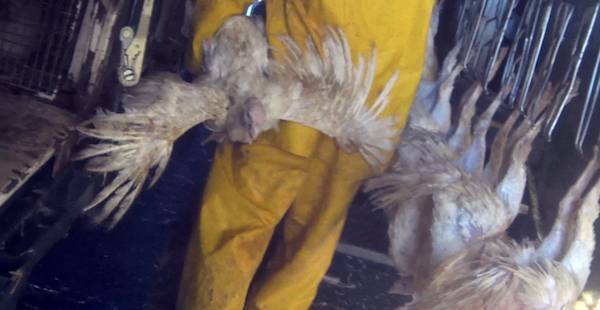 Birds have their throats cut open and their heads ripped off and are even scalded alive in hot water tanks.